Students publicize their water conservation message at MA State House exhibit, February 8-12. How do you persuade your parents to use water more wisely? 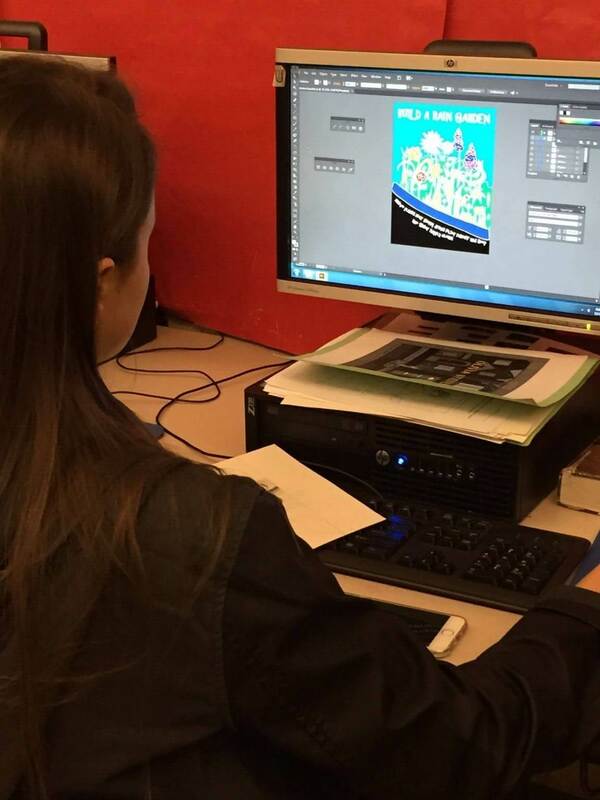 That was the challenge facing more than forty students in Canton High School’s Computer Art & Design Classes as they participated in a Water Conservation poster challenge this fall. Students in Michelle Mendez’s and Carol Gregerman’s classes were visited by NepRWA’s Outreach Director, Nancy Fyler, and presented with information about their local drinking water sources, distribution infrastructure, and water conservation issues. 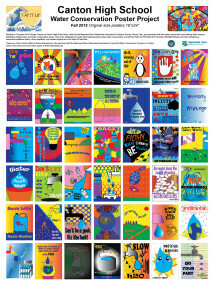 They were then challenged to create informational posters about water issues, and with the help of their teachers, researched additional topics, chose headlines, and created original 18”x24” posters in the style of Peter Max, using Adobe Illustrator. The student’s posters will be on display on the 4th floor of the State House from February 8-12 (10am-4pm), with a student reception on Wednesday, February 10 at 10am. State Representative Bill Galvin of Canton and others will be on hand to greet the students and discuss water conservation issues. A tour of the State House will complete the field trip. Smaller versions of the posters are currently on display in the lobby of Canton High School, and can be viewed during the Canton School District STEAM Expo, which takes place at the High School on Wednesday, March 16 from 4-8pm. During the Expo, CHS students and Watershed Association staff will host a “tap vs. bottled water tasting table”, which will allow people to judge water from different sources in a “blind taste test”. Results of the taste test will be published after the event. The Watershed Association and the Town of Canton are pleased to be able to bring the topic of water conservation into the Canton Public Schools, and encourage all residents to conserve water whenever possible. 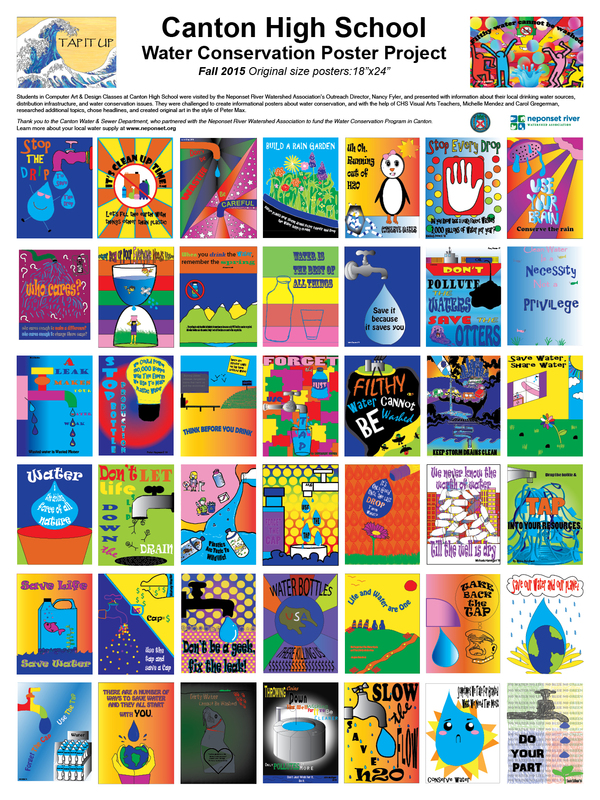 The Water Conservation Poster Project was made possible through a partnership between the Neponset River Watershed Association, the Canton Water and Sewer Department, and the Canton High School Visual Arts Department. Advocacy in Action: How about some coffee with that budget request?